Our third grandchild is scheduled to arrive around June 1st and our daughter and her husband have been attending Lamaze Classes. And, that’s good news for me because I get to babysit our grandson, Jack, every Wednesday evening – for a whole month! He was still asleep last week when they left last week so I set up my laptop next to him, and worked for a little while, enjoying his little snores. When he woke up, he was thrilled to see “Gram” right there and he reached out his chubby little arms for cuddles. When the post-nap sleepiness subsided, he decided he was hungry so we walked downstairs to the kitchen. He doesn’t talk much yet but he gets his point across. He reached for the left-hand cabinet so I opened it. He then reached for a bag of chocolate covered raspberries. That’s one of my favorites so there’s no denying the kid inherited my good tastes! Of course, the Red Bull part wasn’t true but she didn’t know that. Ha ha ha. We played for a couple of hours, inside and out, and then it was time for dinner. Gram was there so pizza was on the menu (of course!). Our daughter would cut pizza into tiny pieces for him but I taught him how to hold it like a big boy, and take bites out of it. He got the hang of it pretty quickly. He ate it upside down but it was a great start! Jack turned my way with a funny expression, and his face started turning red. Then, he started loudly grunting. My shoulders sagged forward, knowing what was to come. Jack finished his business, turned again, and gave me a sly smile. Needless to say, by the time Mommy and Daddy got home, he had a clean diaper and huge, carefree smile on his face. Silly boy. I love him sooooo much! DON’T FORGET! 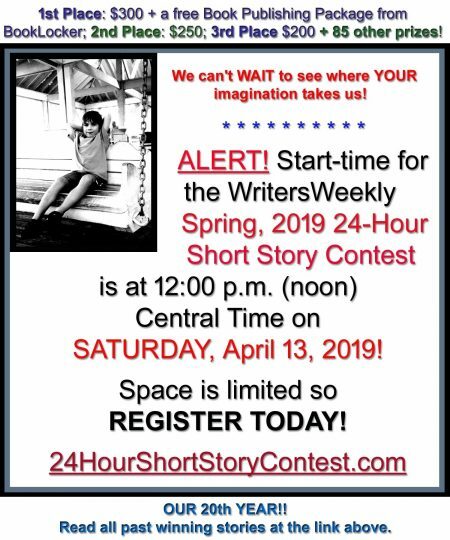 This Saturday is the WritersWeekly Spring, 2019 24-Hour Short Story Contest! There’s a limit of 500 participants so don’t delay if you want to play! Has your yucky, brown snow melted? Are beautiful flowers budding in your yard? Can you believe Easter is FINALLY almost here??? But…all may not be as bright and sunny as it seems! 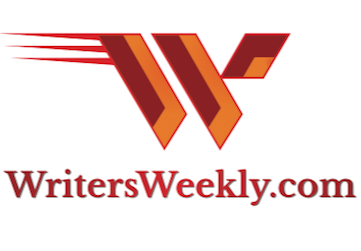 You’ll find out what we mean when you see the contest topic in your in-box (and on the WritersWeekly website) on Saturday! Grab a fresh cup of coffee, open a window to enjoy the fresh spring air, turn on your laptop, crack your knuckles, and get those creative juices flowing! WE CAN’T *WAIT* TO SEE WHERE YOUR IMAGINATION TAKES US! Topic, Common Themes, and Winners of the WritersWeekly.com Fall, 2018 24-Hour Short Story Contest! Topic, Common Themes, and Winners of the WritersWeekly.com Summer, 2018 24-Hour Short Story Contest! Topic, Common Themes, and Winners of the WritersWeekly.com Winter, 2018 24-Hour Short Story Contest! Topic, Common Themes, and Winners of the WritersWeekly.com Fall, 2017 24-Hour Short Story Contest! Topic, Common Themes, and Winners of the WritersWeekly.com Summer, 2017 24-Hour Short Story Contest! Topic, Common Themes, and Winners of the WritersWeekly.com Spring, 2017 24-Hour Short Story Contest! Topic, Common Themes, and Winners of the WritersWeekly.com Winter, 2017 24-Hour Short Story Contest! 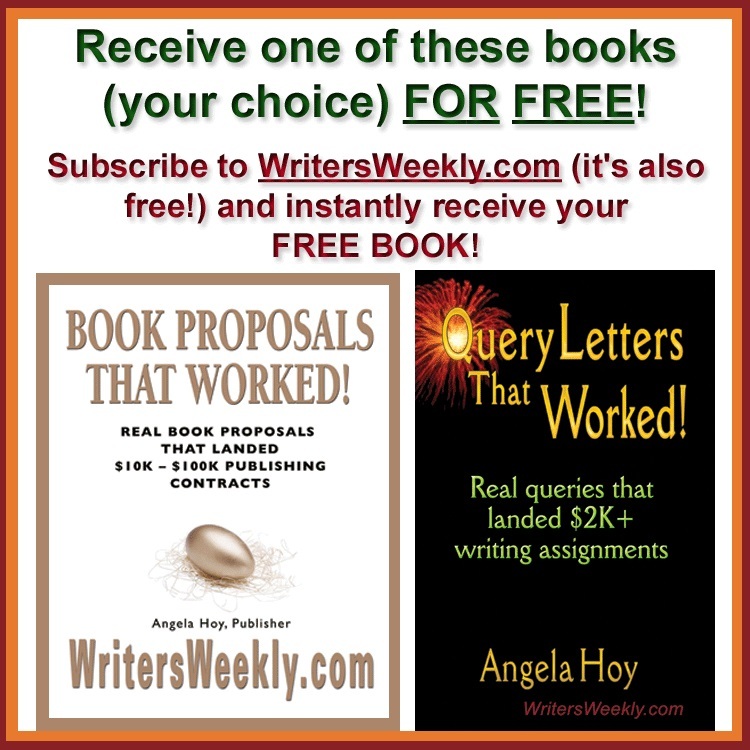 A systematic approach to writing that generates better quality quickly! Chock full of ideas, tips, techniques and inspiration, this down-to-earth book is easy to read, and even easier to apply. 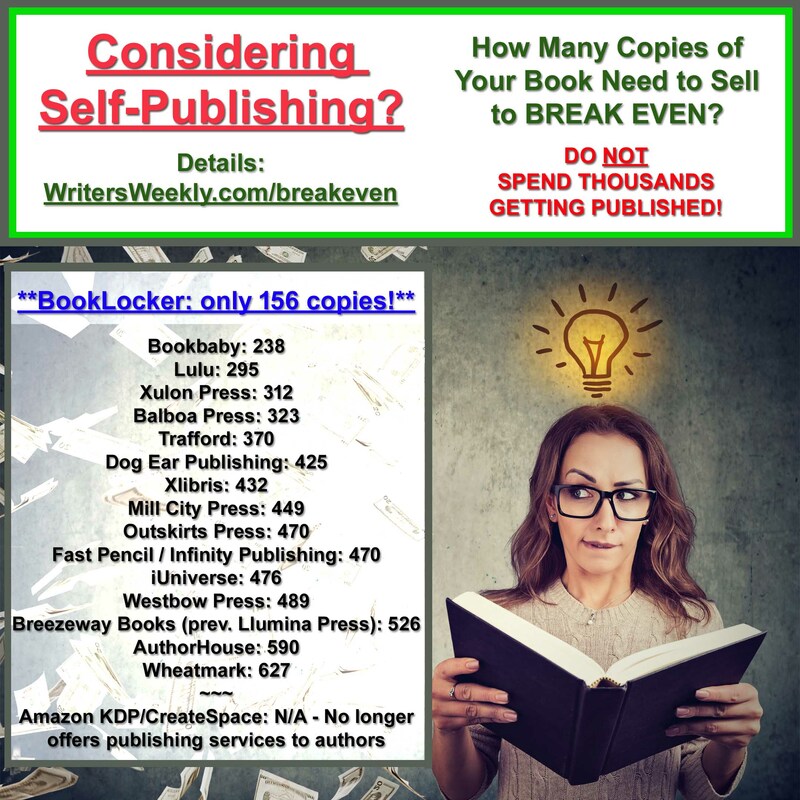 Let author Jeff Bollow take you through a process that brings your ideas to the page faster, more powerfully and easier than ever before. 2 Responses to "When You Give Your Grandkids Chocolate and Red Bull"
Awwww and such a young Gram too. You sure know how to treat a kiddo! Sounds like you and Jack have form a very strong bond. How fun!